The term Eco Driving or ecological driving is a concept that groups driving assessment techniques independently from vehicle performance. These techniques are based on control of variables such as speed, acceleration/deceleration and stopping times with the engine running. With this information, it is relatively easy to generate comparable data between vehicles grouped by different types of activity, load or activity. This allows us to not only increase the operational efficiency of the fleet but also increase levels of driving safety and extend the life of the vehicles. How does Global AVL present this feature and what advantages does it have over other competitors? 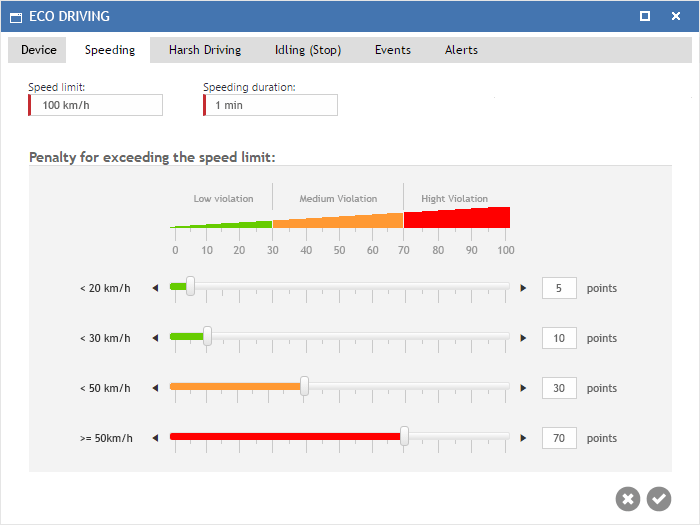 We have said that the Eco Driving analysis is based on factors such as speed, acceleration and timeouts. 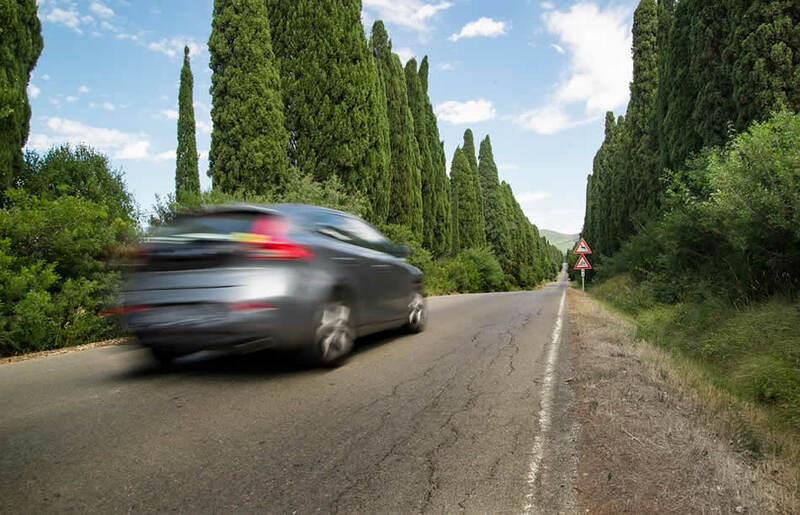 With GPS devices that generate Driving Behavior events, the management of these factors with Eco Driving is simple. But what about those GPS locators that do not offer specific events for these factors? How can we improve the safety and efficiency of our fleet without proper GPS locators? This is where we have gone a step ahead of our competitors by adding to these factors two very important variables when analyzing the driving styles. This way, unlimited rules of business can be generated that are applicable to any use of vehicles as specific as they may be. We can control excessive speeds inside or outside Geo Zones (Areas), excessive time stopped at POI (Point of Interest), or even excess RPMs for a certain amount of time. 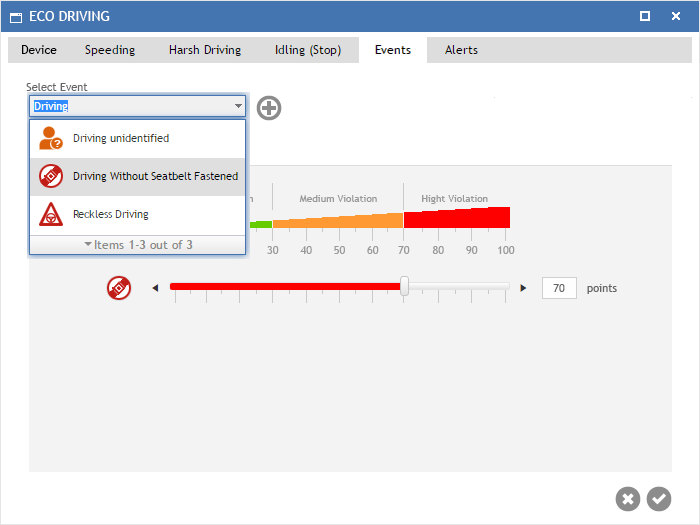 The Fleet Management Software calculates Driving Behavior ratings. These ratings are based on penalty points received for each type of violation. The higher the number of penalty points, the worse driving habits will be and the higher the driver's operating cost will be and and will imply a greater the road risk. In line with our developments, we have created an intuitive and easy system to allocate one or more vehicles simultaneously. Each of the control factors will have a screen similar to the image shown below, where desired penalty points can clearly be assigned in 3 ranges of criticality. 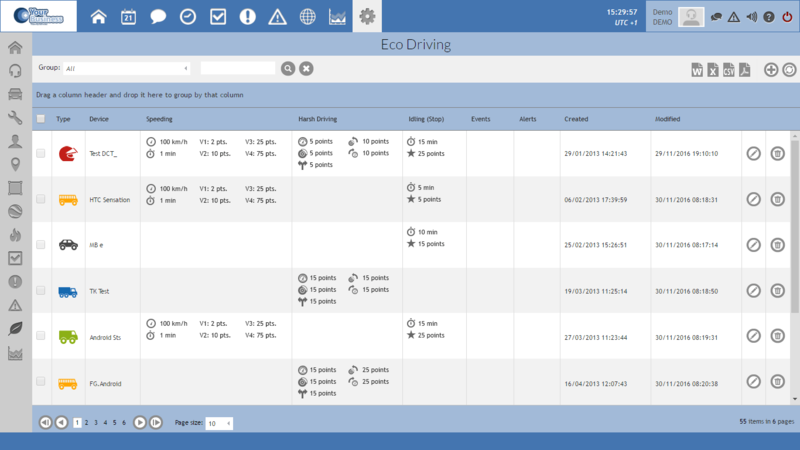 Having defined the penalty system, Eco Driving will give you a detailed list that displays all the information necessary in a visual summary, together with a series of new management specific and driver comparison reports.